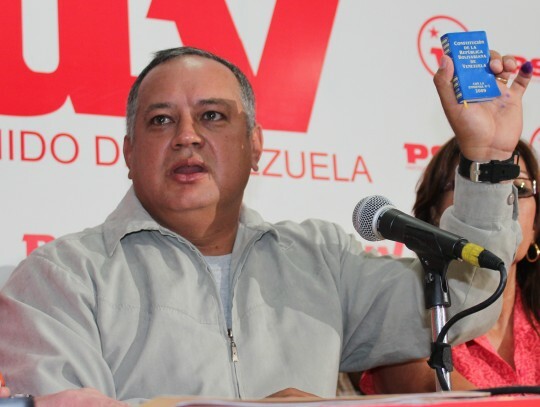 The President of the National Assembly, Diosdado Cabello, is a man who doesn’t beat around the bush. Case in point: his recent announcement that opposition legislators who refuse to recognize Nicolás Maduro as President will not get to talk in the Assembly … and will not get paid. It’s refreshing to see chavistas violate the law and any pretense of basic human decency so openly. It makes our work here at CC so much easier. But what we have here is not an isolated incident, but a pattern. With a chavista Minister publicly saying he is going to persecute any opposition people employed by the government, labor laws be damned, and with the government now apparently persecuting people for their political beliefs by inspecting their Facebook pages (! ), it’s clear that Maduro will not be a more moderate version of Chávez. He will be a dumber, cheaper copy of Chávez.